Governor Ayo Fayose has declared three-day statewide prayers for the repose of the souls of students of Ekiti State University, Ado Ekiti, who died in a road accident on Monday night. 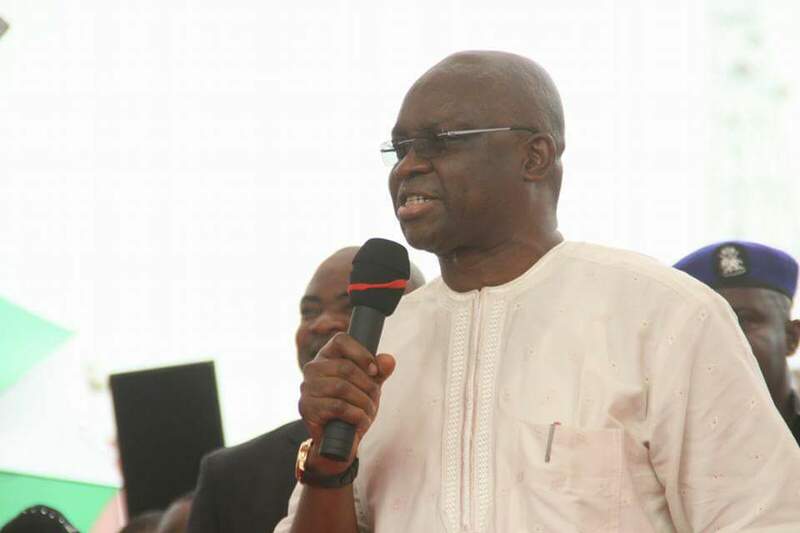 Fayose made the declaration on Tuesday while on a sympathy visit to the Ekiti State University Teaching Hospital (EKSUTH). The death toll in the accident has risen to seven from the initial five. He said that the prayers were meant to forestall a recurrence of such incident. He expressed regret that the accident claimed a total of seven students while the two remaining occupants of the vehicle were still battling for life. A correspondent who visited the hospital and the university, observed a gloomy atmosphere and a feeling of despondency as no one was ready to comment on the development. The fatal accident occurred in front of the university.